Nashville has been awarded a $3.5 million grant from the U.S. Department of Housing and Urban Development’s (HUD) Youth Homelessness Demonstration Program (YHDP) to help end youth homelessness. This program supports a wide range of housing interventions including rapid rehousing, permanent supportive housing, transitional housing and host homes. Nashville is one of 11 communities awarded funding on July 13. 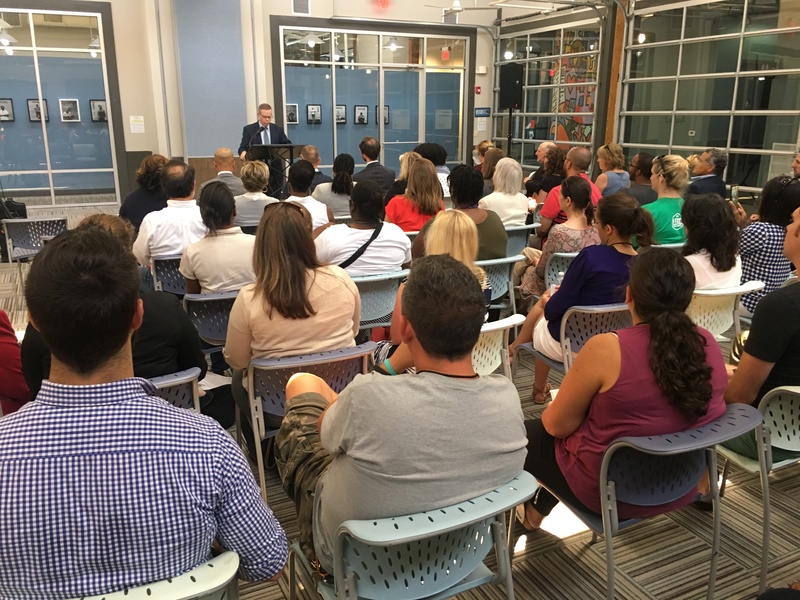 HUD Assistant Secretary for the Office of Community Planning and Development Neal Rackleff made the announcement at 2 p.m. today at the Oasis Center in Nashville. MDHA applied for the grant in April 2018 in collaboration with Metro Homeless Impact Division and 22 other partners including the Oasis Center, Metro Nashville Public Schools, Tennessee Department of Children Services, the Youth Action Board, and the Metro Juvenile Justice Center. Oasis Center together with the Metropolitan Homelessness Commission (now referred to as Metro Homeless Impact Division), brought together the 22 agencies involved in the grant application in 2016 to create the Key Action Plan, our city’s first community-wide initiative to address homelessness for youth and young adults 18 to 24 years of age. us to realize our dreams of creating a coordinated system of services around prevention, immediate assistance and long term housing and supportive services.” The Key Action Plan laid the foundation for ongoing collaboration among youth providers and created a shared community vision around four focus areas to end youth and young adult (YYA) homelessness: Prevention, Immediate Response, Coordinated Entry and Long-term Solutions. During Nashville’s winter shelter season, community partners identified 353 individuals ages 18 to 24 who utilized designed youth emergency shelters. The 2018 Point in Time (PIT) Count found 81 youth and young adults who were in emergency shelters or on the streets during that one night. Nashville native Ashley Oswald supports these efforts. She was homeless four years ago, after her mother became ill. They lost their apartment while she was in the hospital. Nashville’s YHDP application highlights the local work to build an effective systems approach to ending all types of homelessness including youth and young adult (YYA) homelessness; our significant improvements in collecting system wide data, and our innovation capacity around youth homeless strategies over the past two years. Specifically, we described how Nashville has increased its youth-specific winter shelter program for 18 to 24-year-olds to cover seven nights over a five-month period. In addition, Nashville launched a partnership to create a youth-focused Rapid Re-housing program with intensive services and located it next to our community’s Youth Opportunities Center, which housed five nonprofit organizations offering youth-specific programs.